The Sad Thumb Who Wanted to Become Unplugged As therapists we often use images to help us tell stories. Although reading might be difficult for small kids, they easily relate to visual representations. Since its publication, the Sad Thumb has become an important therapeutic tool that easily explains to kids the damages of thumb sucking and other oral habits. Although we want the child to be responsible for his decision to quit, we don’t want him or her to feel guilty or judged. So we put the burden on our little thumb… asking “Thumb” to be the one explaining all the undesirable effects of a negative sucking habit. This edition is now available with more appealing pictures and realistic photographs. We proudly present to you the second edition of our Sad Thumb Book. We hope it serves you and your patients well. The purpose of this new edition is to bring to readers in dental, speech, and oral myofunctional professions the most up-to-date awareness of what has happened, and is happening, in the field of orofacial myology throughout the world. In this volume, the information is intended for basic and intermediate levels. This expanded text also includes contributions from four continents and therapy suggestions from ten additional clinicians. Included are updated and expanded chapters on the scope of myofuntional disorders, history of myofunctional problems and treatment regimes, anatomy, physiology, speech, dentition, orthodontics, and diagnostic and treatment procedures. The authors’ intent is to provide a wide scope of information within a framework of interdisciplinary interactions for those professionals whose work impacts individuals with myofunctional disorders. The considerable material on treatment includes theory, principles, approaches, instrumentation, and specific exercises and assignments. Considerable insights and principles from orthodontics are included throughout the text. New in this volume are explanations of the importance of the dental freeway spaces as a consideration in diagnosis and treatment. 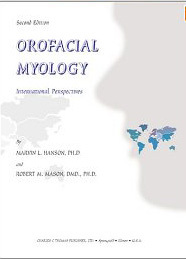 The authors recommend this text as a resource for learning about the background and state-of-the-art in the United States and internationally regarding the theory and practice of orofacial myology. The book will be of special interest to myofunctional clinicians, speech-language pathologists, dentists, and other interested professionals. Tongue-tie: Morphogenesis, Impact, Assessment and Treatment busts the myths associated with tongue-tie that prevent the re-establishment of routine assessment and treatment of the condition in the early postpartum period. 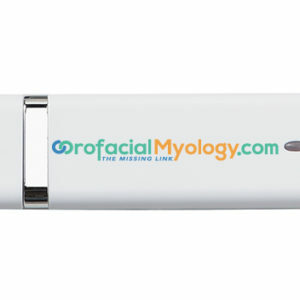 Dr. Hazelbaker provides both the old and new evidence that enables clinicians to properly assess, diagnose and treat this genetic condition that creates so many problems with infant feeding, speech and orofacial development. Dr. Hazelbaker presents the embryological and physiological underpinnings of tongue-tie, discusses tongue-tie’s impact, provides information on assessment and classification then rounds out her book with research-based treatment options and guidelines. She weaves in her personal story, having been tongue-tied and being the mother of two formerly tongue-tied children, as well as the stories of many other families into the science, creating both a readable and credible book. 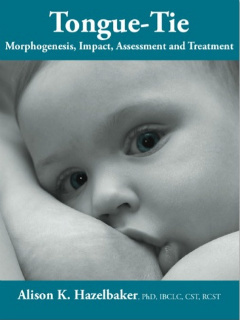 Tongue-tie: Morphogenesis, Impact, Assessment and Treatment is the definitive book on tongue-tie that will serve health professionals and policy-makers worldwide as they endeavor to change the clinical culture surrounding this common but underappreciated problem. The Autosuggestion tracks are used to reinforce the new resting postures, swallow and breathing patterns on the subconscious level. Separate tracks for older children and adults, and young children.